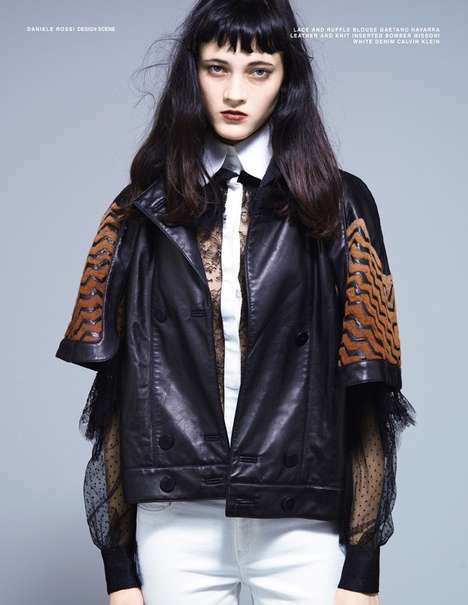 The Stéphane Rolland AW14 collection has dark gothic gowns that channel the young Wednesday Addams. Several of the navy blue and black dresses have crisply pressed white collars similar to the style on the dresses worn by Morticia and Gomez’ daughter. 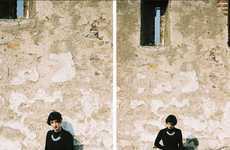 Rolland’s grown-up goth looks are a sophisticated version of Wednesday's dark and distinctive aesthetic. The haute couture collection has some garments that constrict the wearer’s arms, but not all of them are so severe-looking. 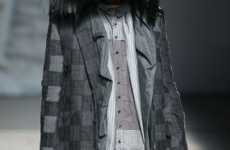 Rolland introduces some flowing draped fabrics that introduce movement into the stern silhouettes. The effect is somewhat ghostly but it is a much-needed contrast to balance out the collection and make it more dark and romantic than morbid. 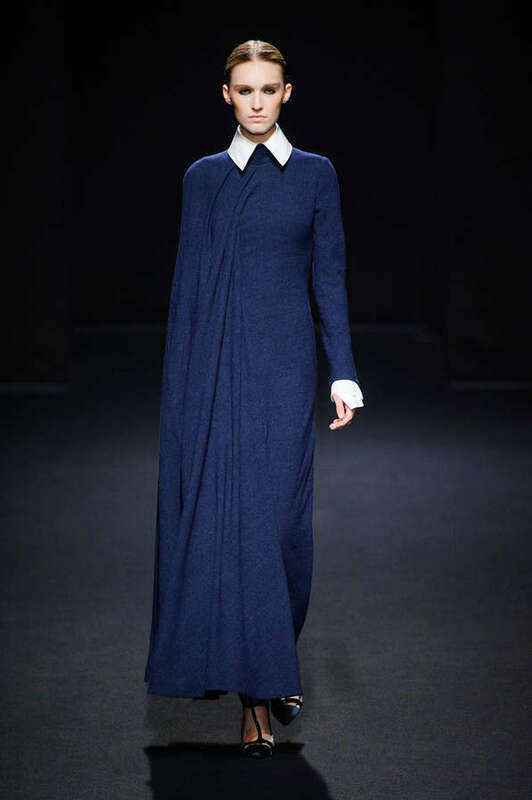 The Stéphane Rolland AW14 is hauntingly beautiful.